I just finished putting the Christmas decor away and everything looks so bare! I always get the itch to deep clean and to rearrange things right after packing away the holiday decor. January is my “refresh” month. My favorite deep cleaning tool is a steam cleaner. I love my HomeRight SteamMachine! 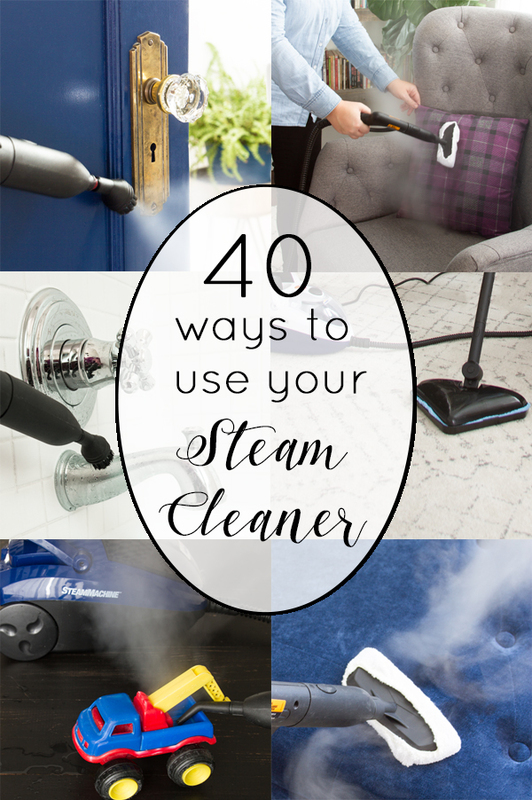 Today I am going to share 40 ways you can use a steam cleaner around your house! 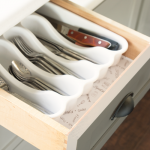 The kitchen is full of little nooks and crannies and hard surfaces that get real dirty. It is also where we store and prepare our food so it is important that it stays clean and sanitized. From the dishwasher to the wrinkled tablecloth, there are lots of places to use the steamer in the kitchen! The bathroom is my favorite place to use my SteamMachine. It is germ city in there and once I have steamed all the surfaces I feel so much better. 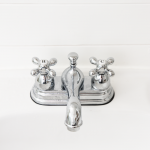 The hinges of the toilet seat, tile grout, and the sink drain are just a few of the “icky” places you can sanitize without harsh chemicals! We spend a lot of time in our room so it makes sense that it should be a priority to keep it clean. Have you ever cleaned your mattress? 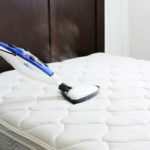 Steam cleaning it kills dust mites and germs. Shoe organizers tend to get a little smelly and dirty. Do you hate ironing? 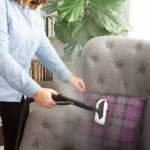 While you have your steam cleaner out, why not steam the wrinkles out of your clothes? Works like a charm and is much more fun! My boys smelly feet spend a lot of time lounging in here and it sure smell like it. 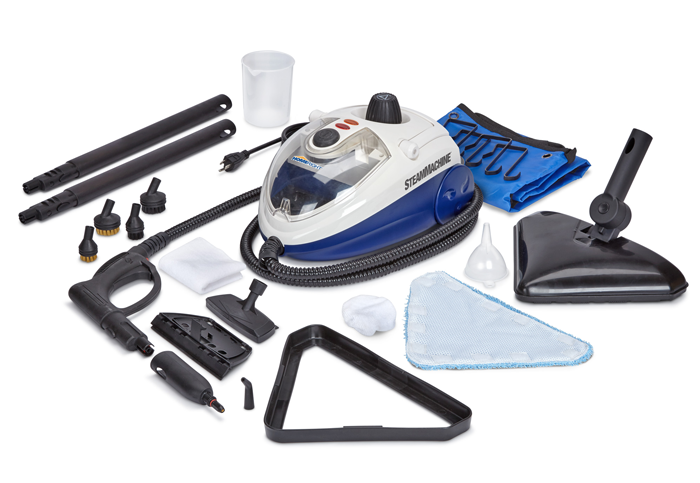 From the rugs to upholstery, the SteamMachine can get rid of the oder and freshen up the room. Things like baseboards and light switches are in every room of the house. 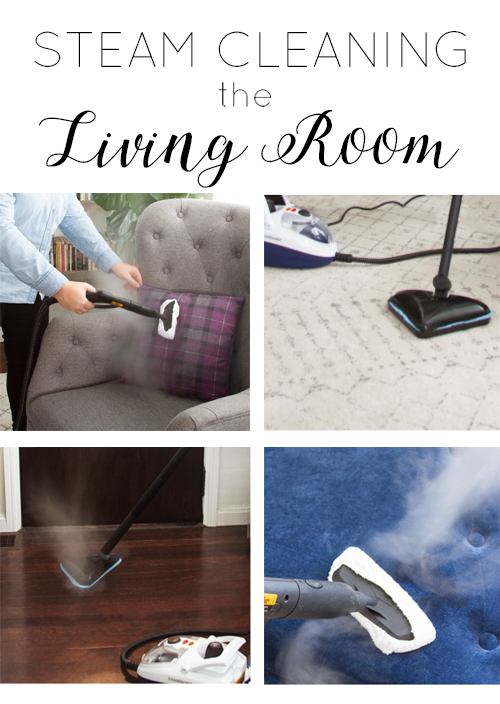 While you have the SteamMachine out you might as well tackle the door knobs, garbage cans, and blinds! Remember when Shane got his old beater car for free but it was a dirty, grimy mess? The SteamMachine made it looks so fresh and clean! Your washing machine is supposed to get things clean and yet it gets pretty dirty in places like around the bleach dispenser and around the hinges of the lid. Inside the house and outside the house, there are plenty of places to put the SteamMachine to good use! HomeRight is giving away one SteamMachine Elite to one reader. Enter below using the Rafflecopter widget. Good luck and happy steaming! You must be at least 18 years old to enter. You must be a resident of the USA to enter. The giveaway will go from January 15, 2019 until January 22, 2019. A winner will be chosen by random.org and will be notified by email. The winner will have 48 hours to respond before a new winner will be chosen. The shipping of the prize is the responsibility of the company, in this case, HomeRight. This post was sponsored by HomeRight but all opinions and ideas are 100% my own. I am most excited to clean my tile floors – what a mess they are. I really want to steam clean all the bathroom nooks and crannies, and window tracks. My bathroom vents need to be cleaned. I would steam clean my van first and then move on to my kitchen. Both have taken a hit in the cleaning department this winter! This would be great! Wonderful giveaway! I’m most excited to steam clean the bathroom. Omg. Cleaning the bathrooms with 3 sons!! Most excited to clean my bathroom tile floors with this! My sofa would be happy to be cleaned! All the vents in my house and the kitchen. Everything possible in our bathroom. Mini blinds, window frames and shower door frames..
My fridge and the little crevice behind the bathroom and kitchen faucets. The first point of attack would be my 20 yr. old car! Thanks for the opportunity – my fingers are crossed! 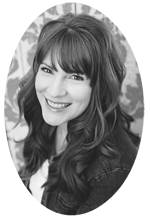 I want to steam clean the bathroom my teen sons use! I can’t wait to use the steam machine on my dirty oven. I would love this to steam my stove top and range hood. I would like to steam clean our car. The rug in our kids play area is in desperate need of a steam cleaning! I would start steam cleaning my bathroom. But I would start cleaning everything go ahead and get the spring cleaning started. I am most excited to clean my kitchen. It’s the room I use the most and also the one that gets the dirtiest! Oooooh I would clean bathrooms first for sure!!! I’m most excited to clean my plastic step stools. Thanks! There is a crevice on my floor next to my dishwasher that is NEVER clean! I want to start there, and then clean EVERYTHING!!! I so need this nifty little machine. My house and car will be forever clean! I can’t believe all the things you can clean with this steam cleaner, and it looks small enough to handle easily. I would clean everywhere! With boys, I really need it for my bathroom! Wow! I really would love one of these! The first place would have to be the bathroom. As you said, it’s germ city in there! The kitchen would be a close second, though. I would clean my sofa. 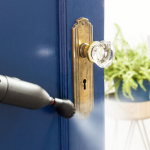 I love that this steam cleaner can be used so many ways! This is a great idea that I have never though about! Do you rent it? I have a friend that would really like to know this as she has rent houses and it would be very useful. 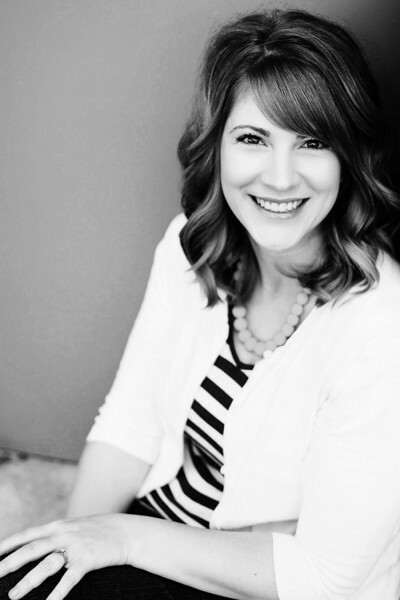 Too many things to list….I REALLY need to win this! OMG, I would just love to steam clean my furniture…I have 5 kitties with long hair and well, you know their bottoms are not always clean when they sit on your furniture. I would be super excited to have something like this! Thank you for the giveaway. I need this for every room in my house! I would use it to clean the vents in my home. I am most interested in trying this on grout lines, not just on bathroom walls, but also on floors. I’ve wanted a steam cleaner for a long time. Thanks for showing so many ways to use it! I am most excited about steam cleaning our bathroom. Maybe it would also help us remove the wall paper boarder I want to get rid of. I have recently discovered the joy of a friend’s steam mop! This machine takes it to the next level! Amazing!! I’d love a steam cleaner to be able to clean my fridge and washing machine. I had no idea you could use it in so many ways! Our bathrooms could use a good steam cleaning. 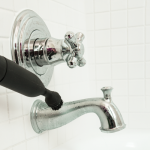 I would LOVE to try a steam cleaner…know how awesome it can be for getting wrinkles out, but had NO idea you could use it everywhere!!! Gotta love multi-tasking items!! I would love to steam clean my baseboards! I never pay them too much attention and then one day I got down on the floor to reach something that fell and I was so close to them… gross! So, I’ve dusted them but they could use a good deep clean. In most excited about cleaning out new kitchen floor that we have wanted for 30years?? Both the bathroom and kitchen top to bottom. Then outside house before painting begins. I plan on using it to get rid of the rust spots which were left when we had to leave our faucet drip because of the extremely cold weather. Our water is extremely hard, and it will make my job of cleaning seem very easy. I want to stam clean my shower and tubs! definitely in my kitchen, it’s always so hard to clean. I like the idea you could use the steam cleaner in the sliding window tracks, that is an awesome tip. That is one of my most dreaded cleaning jobs! I am most excited to steam clean my stove hood. I had no idea there were so many places to use a steam cleaner!!! How do I not already own one??? Pretty much everything! But the first thing first..the baseboards! I have 2 cats and I stay cleaning. Definitely the bathroom. It’s my least favorite (and grossest) part of the house to clean!!! The window tracks, the bathroom, the tile floor. i would love to do a deep steam clean of the large white tiles in our kitchen dining area and then off to the bathrooms for the same flooring. AND the entryway!! i think i would give it a go on the carpeting in the living room and bedrooms. I would love to win this great steam cleaner. Thanks for the giveaway. Oh wow. I need one of these. Mine locked up and could not get open! Many have tried. These steamers are great for cleaning grease and grime, windows, the grill, etc! I want to steam clean my foyer. I would love to steam clean the bathrooms. I want to do my windows. But after looking at your ideas I think I should do my washer too. Oh, and my tile showers. I just think of so many places!!! I was just reading reviews about this steam cleaner, sounds amazing! Especially during this flu season we are battling. Hadn’t thought of all of these uses! Mainly was thinking my kitchen, bath and stained concrete floo rs. Need one even more now. Most excited to steam clean the blinds. Excited to steam clean my bathroom. Love to use this on the shower! I’m most excited to steam clean the part of my floor that isn’t reached by my steam mop. It’s the space between the edge of the mop and the baseboards/appliances. I am excited to clean my outdoor chairs. I want to steam clean every square inch of my kitchen, and I won’t even mind that I’m having fun doing it! I think I would be most excited to steam clean is my appliances. We just moved into this house and everything needs a good deep cleaning. I think the whole kitchen could use it. ;D Oh! And all the bathrooms. We’ve been cleaning windows (in Az dust storm country) and it would be helpful with the window frame track. 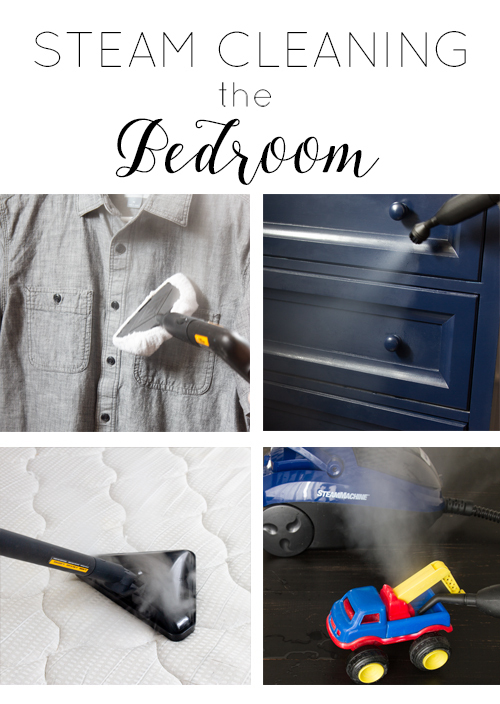 My husband really wants a steamer because he says it’s easier than ironing… after seeing this post, now I’m on board, too! It makes me want to steam clean ALL the things!! I want to get a steam cleaner into my kids’ bathroom!! My oven would be a great place to start! My floor to ceiling shower. I would have to say my blinds — they desperately need cleaning! I would say definitely my bathroom! There are several places I need to steam clean. My grandchildren have been for a visit and there are messes to clean up! I’ve wanted a steam cleaner for ages bit I would be most excited to use it between the wall and floor tiles get all the dirt out. I’d love to clean my windows! And mattresses! And bathrooms! I’m super excited to dream clean every nook and cranny of my house, but the first victim would be my bedroom rug. It desperately needs it! I can’t wait to tackle my shower with this! 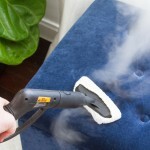 I love the steam clean your mattress blog! We have 3 large dogs that go to the dog park every single day. 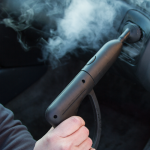 I am most excited to try the steam cleaner in my car! These tips are amazing!! 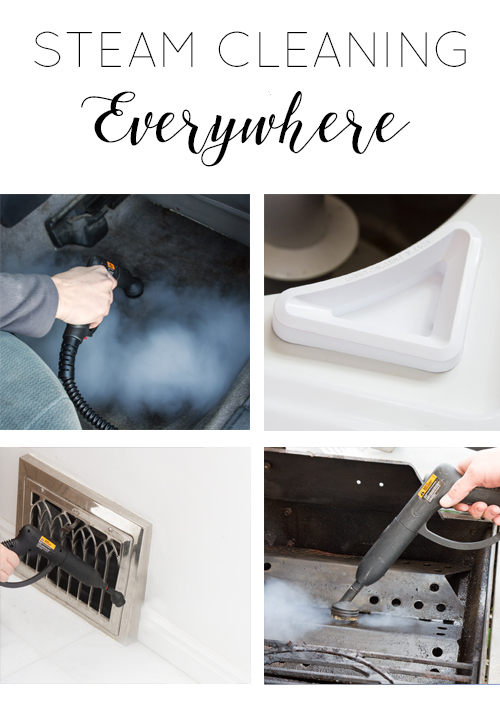 If anything convinced me that I need a steam cleaner, it is this post!!!! Thank you! I would use it on the refrigerator first. That’s one of the hardest to clean for me. I would steam clean the bathroom first. I’m most excited to steam clean the showers, baseboards and air vents. Wow! What an awesome little device. To be honest, I didn’t know that a steam cleaner could clean that much.. this would be so helpful! I would first steam clean my throw pillows and mattress! Oh and tile floors! I’m most excited to steam clean everything in my bathroom. I am amazed at all that can be done with this. I would be excited to try it on the Shower.